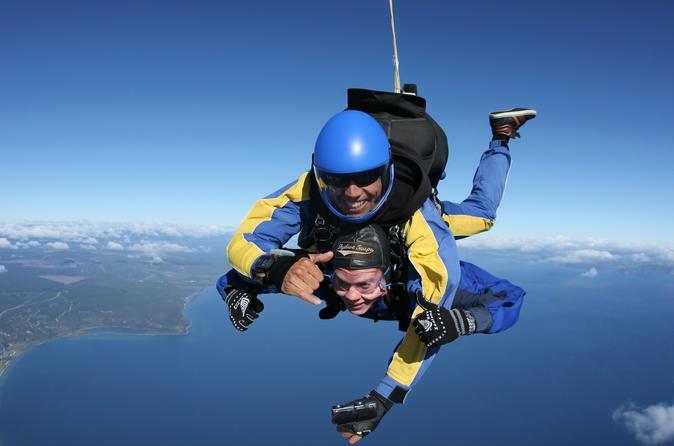 Take this action-packed challenge in Taupo that will have you experiencing the best of the North Island’s great outdoors from the water and sky! A choice of four adrenaline-charged adventures (packaged in three combo options) allows you to do the activities that interest you.! 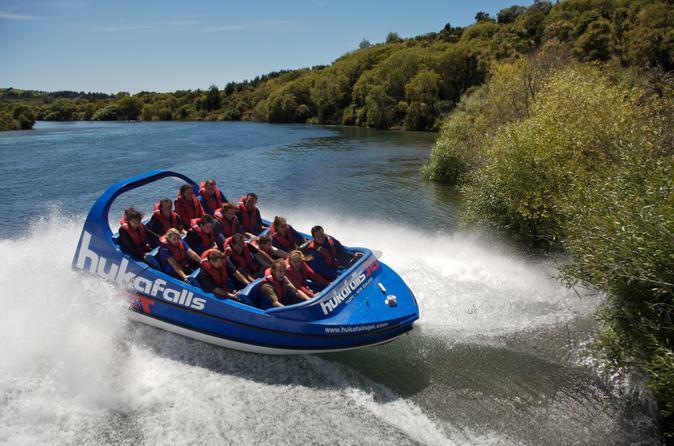 Brace yourself for a jet-boat ride on the Waikato River to the spectacular Huka Falls; soar over the Warakei Geothermal Fields by helicopter; take a scenic catamaran cruise on Lake Taupo; or go whitewater rafting on the Tongariro River. With all equipment provided and knowledgeable guides included, you’ll discover why New Zealand is the world’s adventure capital. 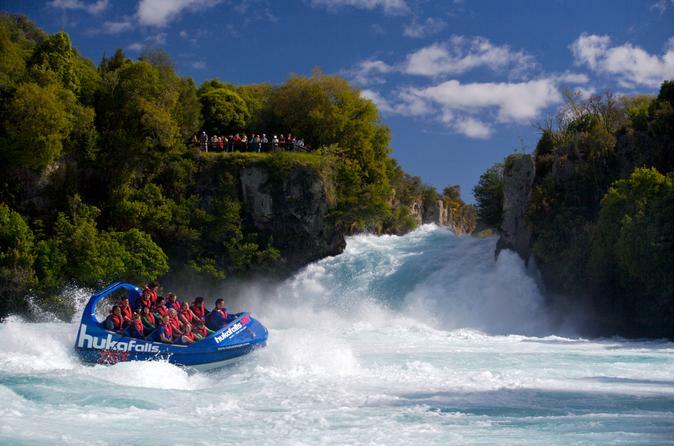 Hold on tight during an exciting 30-minute jet-boat ride on the Waikato River! Spinning and speeding your way to Huka Falls, New Zealand’s most spectacular falls, see the country’s beauty rapidly unfold as you zip past rugged cliffs and native bush. Round-trip transport is included from hotels in Taupo, approximately 50 miles (80 km) south of Rotorua on the shore of Lake Taupo. Described as one of the best day hikes, this tour will provide you with the opportunity to experience some of the most scenic and active volcanic areas of the park. Reliable and flexible shuttle options are available to meet the needs of all hikers. A map and information sheet is given out in the morning to prepare you for your day ahead. An extensive hire gear range ensures that you are ready for the alpine environment and experienced staff make sure you are aware of the current forecast and track information. 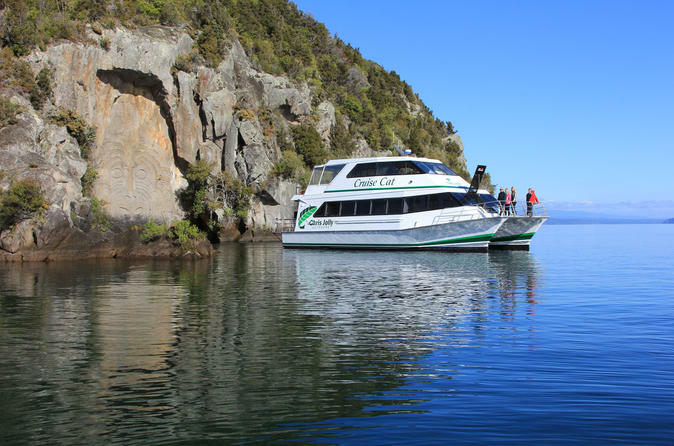 Cruise to the Maori Rock Carvings and around the picturesque bays of Lake Taupo. A full commentary is given on the volcanic history and Maori mythology surrounding Lake Taupo. Take in the fabulous views of secluded bays and the spectacular snow capped mountain peaks of the World Heritage Tongariro National Park. Morning departure features morning tea and afternoon departures feature a fishing demonstration with the chance to participate (valid Taupo district fishing license required). 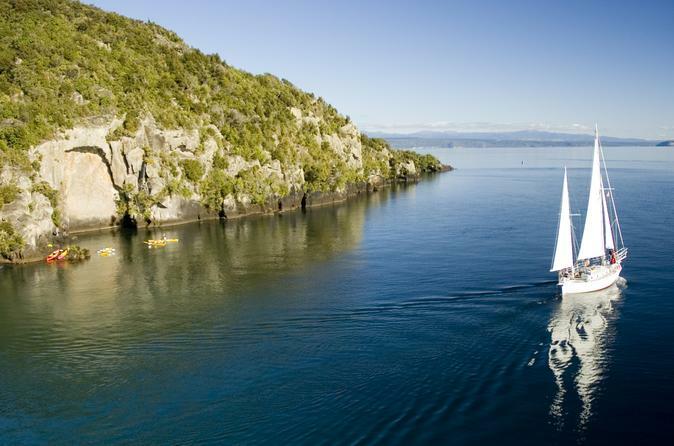 One of Lake Taupo’s best sailing experiences to the iconic Maori Rock Carvings since 1983! This all-year-round activity offers relaxation, fun and adventure on the water, the Kiwi way. Get right up close to this 22 foot (10m) high rock art on an eco-friendly sailing yacht on Great Lake Taupo. Rated by the Lonely Planet as 1 of 10 unmissable Aquatic New Zealand adventures in 2015 (The only rafting trip in the list). 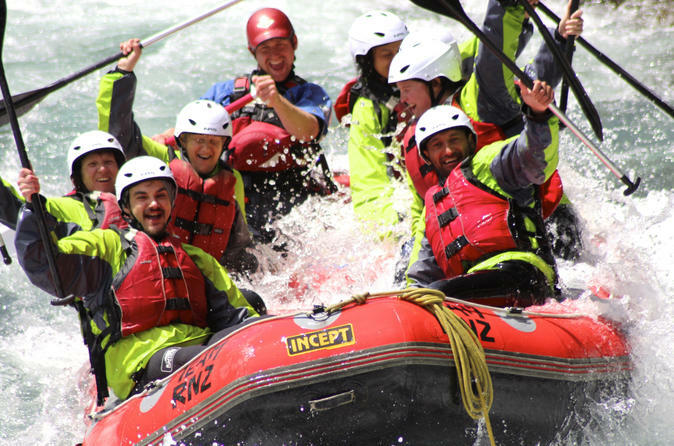 This half-day Tongariro River journey is truly a fantastic rafting adventure. The rapids are Grade Three, which makes this an ideal adventure for expert and first-time rafters alike. In 2.5 hours you navigate over 60 roller coaster rapids with an expert guide at the helm. A large part the top section of this trip can only be accessed by raft or kayak so you'll see plenty of spectacular unspoiled wilderness. Combine an unmissable white water adventure with another adventure activity and save while you're visiting Lake Taupo. Choose from a bungee jump, mountain biking, a scenic float plane flight or a tandem skydive package. Make the most of your visit by experiencing the best. 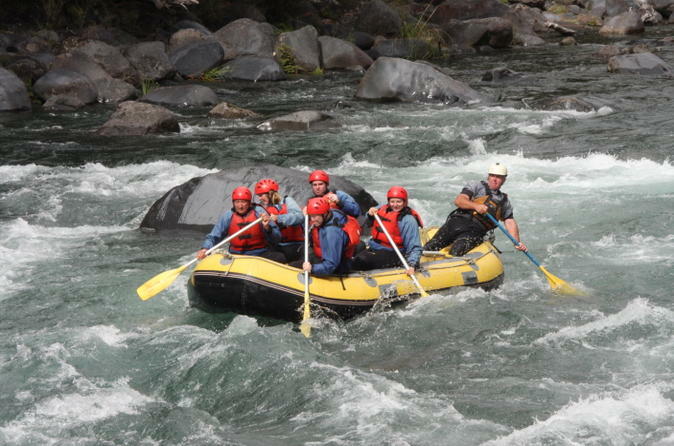 The Tongariro white water is regarded as one of New Zealand's best half-day white water rafting adventures. 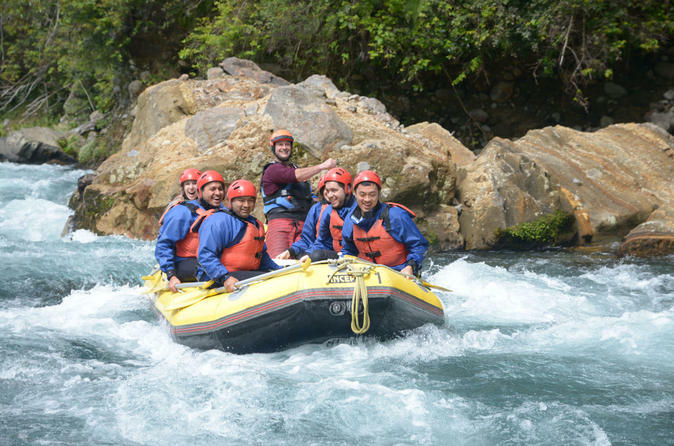 You will raft over 50 exciting rapids, through a beautiful volcanic gorge. Explore a hidden waterfall (jump optional, weather permitting) and enjoy some hot chocolate and chocolate candy on the river. Afterwards, refuel with your complimentary River Dog (hot dog) and cold beer/soda or hot mulled wine. 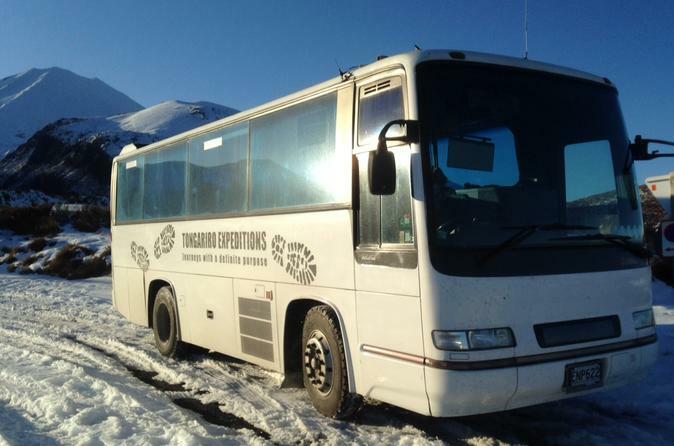 Trips depart daily and year round, complimentary pickup from Taupo is available. 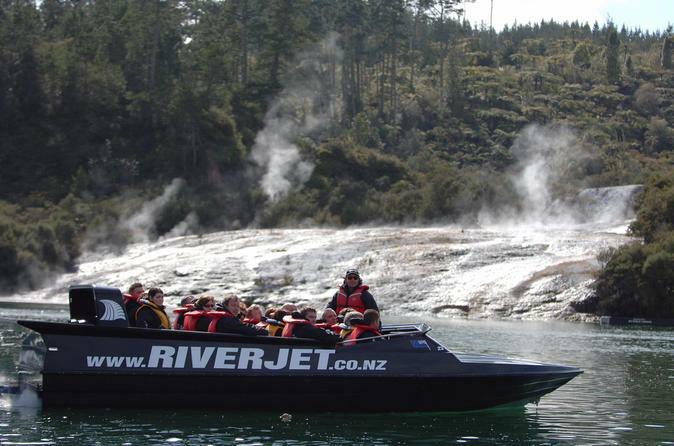 Dare to try the latest New Zealand jet boat experience invented by the fun-loving adventurers in Rotorua? Start with a scenic boat ride to reach a narrow section called The Squeeze where you wade in shallow water past a number of obstacles. Then arrive at a waterfall with thermally heated waters for a natural spa treat. On the return, your driver kicks the jet boat into high gear for an adrenaline-fueled ride complete with spins, turns and screams of delight. A great adventure for all ages, The Squeeze promises to be a highlight of your vacation.